Kauai is the oldest and fourth largest of the Hawaiian Islands and is often called the Garden Isle because of its lush green tropical beauty. It is the northernmost island in the Hawaiian chain and is draped in emerald valleys, sharp mountain spires and jagged cliffs, aged by time and the elements. Centuries of growth have formed tropical rainforests, forging rivers and cascading waterfalls.Have you ever dreamed of vacationing with a Hawaii timeshare on the Garden Isle of Kauai and didn’t know how you could afford it? 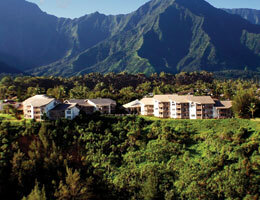 A Kauai timeshare could be the answer to finding your dream vacation! 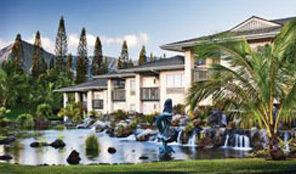 Kauai boasts name brand timeshare resale of Marriott timeshare, Westin timeshare and Wyndham timeshare along with several non-name brand timeshare resales. The Marriott timeshare at Marriott Kauai Beach Club is located on the beautiful southern coastline of Kauai among 51 lush, tropical acres which provide the backdrop for this Kauai timeshare resort that features spacious one and two-bedroom villas, and the Kauai Marriott Resort & Beach Club, a full-service luxury hotel and spa. 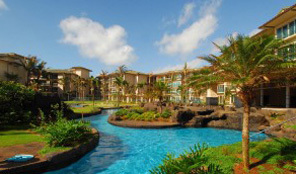 Stretching along Kalapaki Beach, which is rated one of Hawaii’s best swimming beaches, the Marriott timeshare resort features a spectacular 26,000-square-foot swimming pool and beachfront activities. Restaurants at the Kauai Marriott Resort & Beach Club serve fresh island seafood, sushi, and Italian specialties. 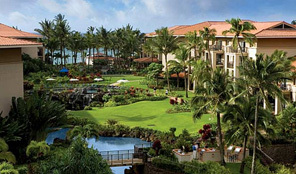 Marriott Kauai Lagoons, with two Jack Nicklaus-designed championship golf courses, is nearby. 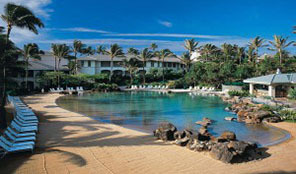 Marriott Waiohai Beach Club is stretched along sunny Poipu Beach on the south shore of the island, an area known for its distinctive and pristine beauty. The luxurious Marriott timeshare two bedroom, two bath villas include a washer and dryer in each villa. Guests rave that the Marriott timeshare resort has the best beach location and comment on how they enjoy watching the sunsets from their private lanai. 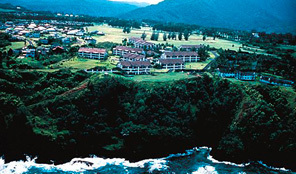 On the north shore the picturesque Westin timeshare at Westin Princeville Ocean Resort Villas is perched 200 feet above the Pacific Ocean where you can enjoy a game of golf on the Prince Course – Hawaii’s top-rated golf course or on the Makai Course, rated seventh in the state. All the two bedroom premium lock-off villas, one bedroom premium villas and studio premium villas at this Westin timeshare include the Westin signature Heavenly Bed and Heavenly Bath which Westin timeshare has become famous for! 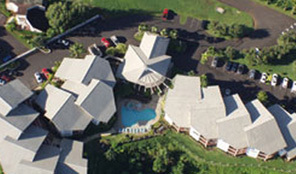 Nestled high on a cliff in Princeville on the north shore, sits the beautiful Wyndham timeshare resale of Wyndham Bali Hai Villas. 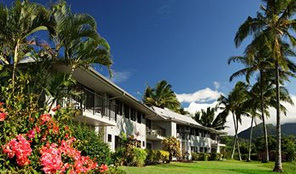 This Wyndham timeshare resale resort enjoys sweeping vistas that range from views of the lush green mountains of the Hanalei Valley to an ocean panorama that stretches from Bali Hai to historic Kilauea Crater. 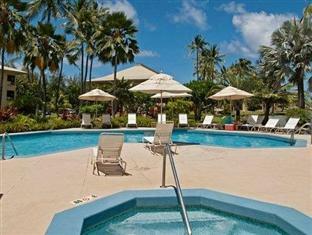 All one, two and three bedroom units at this Hawaii timeshare resale resort feature rattan décor with elegant furnishings including all the modern conveniences you expect. 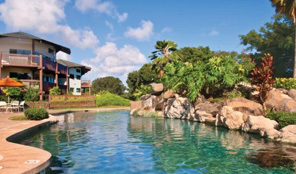 Just past the entrance to Princeville, you’ll find the beautiful Kauai timeshare resale of Wyndham Ka Eo Kai which perfectly captures the true essence of the “Garden Isle” of Kauai. 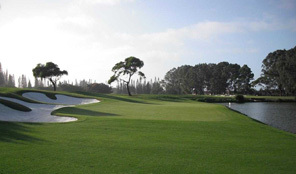 If there is a golfer in the family, this Hawaii timeshare resale resort offers the best of all worlds with the resort being located alongside the Lake Nine section of the world renowned Makai Golf Course. The resort’s two gorgeous swimming pools are sure to delight everyone in the family! One is a secluded quiet pool while the other is far more elaborate with a cascading waterfall, kiddie wading pool and hot tub. 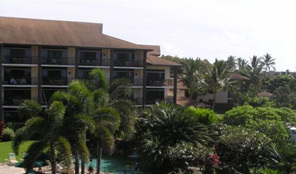 The beautiful Kauai timeshare resale of Wyndham Kauai Beach Villas is located just north of Lihue, the island’s largest city and sits directly on the magnificent “Coconut Coast” shoreline. 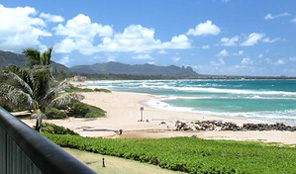 Wyndham timeshare owners enjoy the privacy of this beachfront resort while being only minutes away from world-class golf, fine dining, quaint Hawaiian villages and all the sightseeing pleasures Kauai is noted for! The golfer in the family will enjoy the convenience of teeing off at the Wailua Golf Course located next door – not to mention the very reasonable greens fees! One of the more secluded Kauai timeshares is the beautiful Wyndham timeshare resale of Wyndham Makai Club situated on the sloping hillside along the 27-hole Makai Golf Course in Princeville. The Wyndham timeshare resort is totally secluded and offers an intriguing blend of exotic island beauty and quaint country ambiance. The breezy one bedroom units are furnished in traditional rain-forest rattan with spacious outdoor lanais that offer expansive views of the golf course and lush Hanalei scenery. 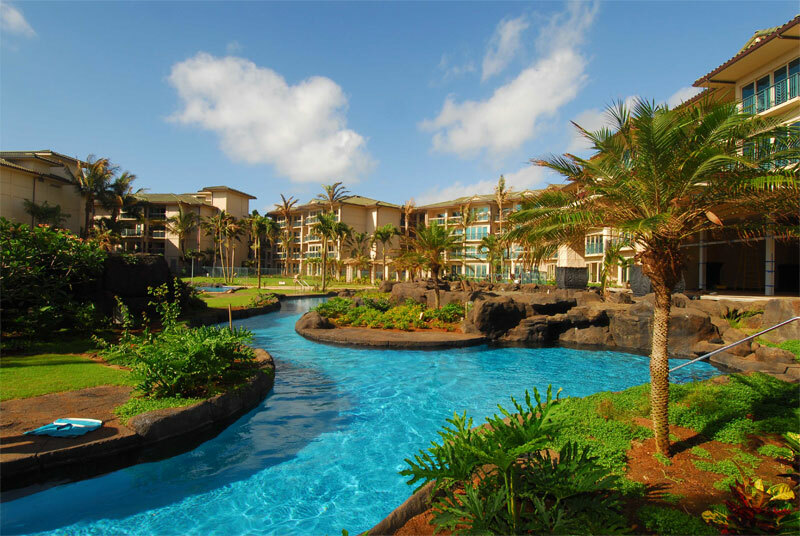 The Wyndham timeshare resale at Wyndham Shearwater offers stunning ocean views from every unit and all the benefits of Kauai’s magnificent North Shore. Perched high upon a bluff overlooking pristine Anini Bay, the resort offers panoramic views, an elegant clubhouse and two Robert Trent Jones, Jr. golf courses just blocks away. 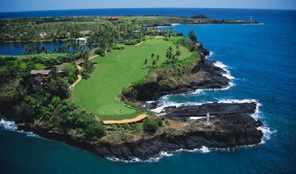 The Prince course is Hawaii’s top rated golf course, while the Makai Course is rated seventh in the state. The two and three bedroom villas at this magnificent Kauai timeshare resale accommodate up to six or eight guests and are tastefully decorated in plantation style rattan with luxurious touches like private whirlpool tubs and Corian countertops in both master baths. Alii Kai is located in the acclaimed Princeville community, is a member of RCI and is close to golf courses, tennis courts, the beach, and an assortment of excellent shops, restaurants, and night spots. All two bedroom, two bath condo units at the Kauai timeshare are non-smoking and have a washer and dryer in each unit. 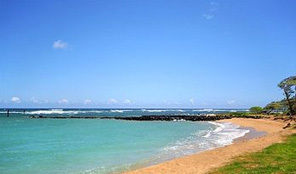 Lawaii Beach Resort is set on 7 acres in the Poipu Beach area overlooking one of the best snorkeling and surfing spots on Kauai. The spacious one and two bedroom units at this Kauai timeshare feature ocean, garden, pool and partial ocean views from lanais (balconies). Three outdoor pools with whirlpool and barbecue grills at each poolside, tennis courts, and a recreation center with fitness equipment will keep you as busy and entertained as you choose to be. For additional information, check out our videos and blog resources. What to look for when buying a timeshare resale. Marriott’s Destination Club Points Defined. FYI: The Hawaii 10.25% Transient Accommodation Tax (TAT) – which is paid at the time of check-out – has been extended to December 31, 2030. Buying a Hawaii timeshare on the secondary market is much less expensive than purchasing direct from the developer because of the fact that the developer incurs marketing costs that are passed on to the consumer. It is the developer who sets the price on the retail market. On the secondary market of time share resale, prices are determined by individuals and current market conditions. Sea kayaking is one of the greatest adventures on earth and a boat tour of the Fern Grotto and the Na Pali Coast are a must when visiting this beautiful island. Some parts of Kauai are only accessible by sea or air revealing views beyond your imagination. So, whether you’re looking for a romantic getaway, memorable golf or a spectacular place for outdoor adventure, you’ll love the island of Kauai!